This just happened so this information could turn out to be wrong, but early reports are no deaths but a number of injuries (some burns, some from trampling). My impression from the early reports is that it is probably a pretty amateurish bomb. Although, the explosion is reportedly being treated as terrorism by police by now. 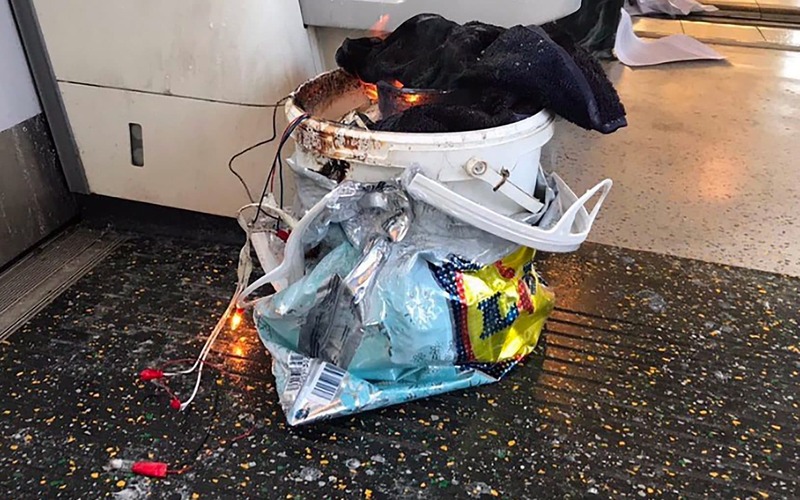 Donald Trump has called the perpetrator of the bombing on the London Underground a "loser terrorist" who was "in the sights of Scotland Yard". It is still unknown from where he got this information. London doesn't have a "subway". New York does, I think. I see the alleged bomb is in a Lidl bag. My favourite supermarket. In that case you'd Better tell them that in London.. I was in it (underground transit) 2 weeks ago. Certainly hope this not a case of being unnecessarily nitpicky about the usage of terminology such as "Tube", "underground" and "subway". After our trip to Barcelona 3 days after the tragedies at Las Ramblas, the recent attack in London looms a bit more real to me. I better keep hush about where and when we travel next. Certainly hope this not case of being unnecessarily picky about the usage of terminology such as "Tube", "underground" and "subway". I was under the impression that the New York subterranean railroad system has a proper (capitalised) name ("the Subway") (as in "The New York City Subway is a rapid transit system owned by the City of New York and leased to the New York City Transit Authority") like the Paris Métro, Berlin U-Bahn, etc and that it was therefore correct to likewise write about the "London Underground". I suppose Americans might talk about such railways generically as "subways". In Britain, a "subway" is an underground passage for pedestrians, usually under a road, allowing people to cross from one side to the other. Whether I am being "unnecessarily" picky, or validly highlighting an ignorant parochial outlook on a topic related to my homeland, is a matter of opinion. Speaking of which, I see the orange fool has weighed in on this very topic. Back to the subject: my sincere sympathy extends to the innocent sufferers to this senseless crime. I'd rather not be speaking of 'The Orange Fool', much less take him or his word about any subject. If I don't speak of him, the time passes a tad quicker and a bit more pleasantly . In my addled mind terms such as 'subway', 'tube' and 'underground' convey the same meaning, but YMMV (your mileage may vary). Legal correctness and reference to the transit in this case here seem to me to be casual, in my mind. Out to get some more sun now. Nods to the down-thumber. May your thumb be caught in a car door.twice.